Why Join The Stairwell Carollers? 1. The tight-knit, intimate style and purity of sound produced by this a cappella chamber choir, first-place winners in the 2010 Ontario Music Festivals Association provincial competition. 2. 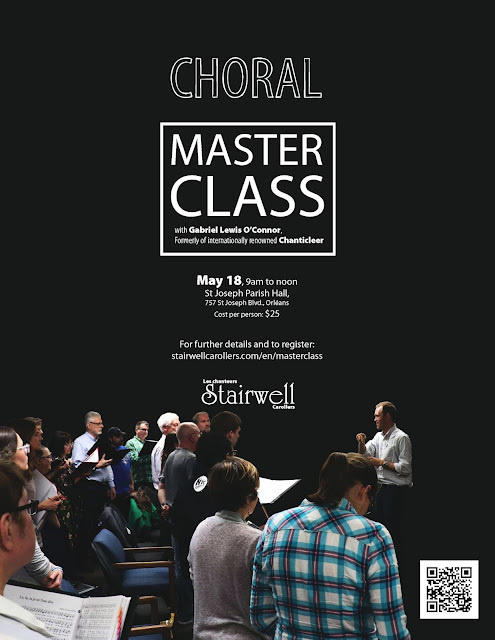 The unique experience of singing under the direction of an award-winning composer and arranger, Pierre Massie, who magically leads the choir from within the tenor section. 3. The chance to sing in a wide variety of languages: English, French, Latin, German, Italian, Spanish, Catalan, Polish and Welsh, to name just a few. 4. The diversity of musical styles: from Renaissance and Baroque to modern arrangements. 5. The joy of sharing enchanting music with audiences in diverse settings: from acoustically rich churches throughout the Ottawa Valley, to prestigious venues such as the Rideau Chapel in the National Gallery of Canada. 6. 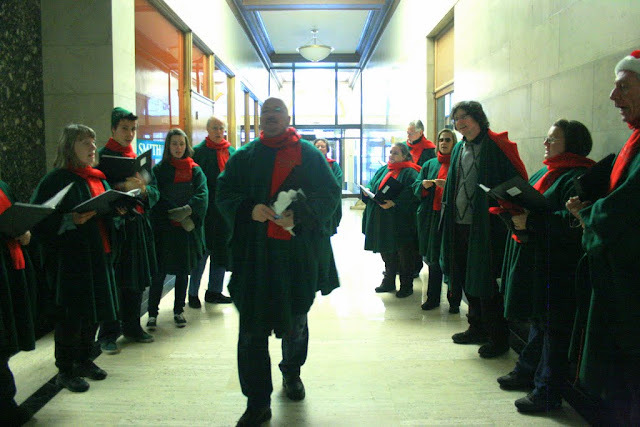 The unique chance to present world-premiere performances of original choral compositions written, by choir director Pierre Massie, especially for the Stairwell Carollers. 7. The opportunity to record CDs of the highest professional standards (6 so far). 8. The ability to give back to the community in several ways. The choir is a registered charity and has donated over $150,000 to local charities from concert fees and CD and ticket sales. 9. The opportunity to reach out to young musicians. The Carollers sponsor an annual music scholarship competition for area students who intend to pursue a music degree at university. 10. Last, but certainly not least, the great pleasure of working closely, in French and English, with singers of diverse musical and cultural backgrounds from urban and rural centres throughout eastern Ontario and western Quebec. If these reasons appeal to you, get in touch with us for an audition. All you need are a solid voice, a good ear and a great attitude. Reading music is an asset but not a necessity. Arrange a time by sending Holly an email to info AT stairwellcarollers DOT com. Auditions will be held consecutive Wednesdays in late August. Email us for a specific date and time. The Stairwell Carollers currently rehearse on Wednesday evenings at a local church in the Manor Park area. For more information, visit www.stairwellcarollers.com.